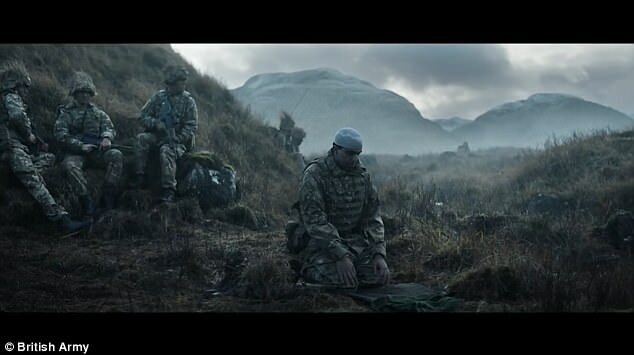 UK military insanity: We’re not Islamofauxbic, look at our recruitment videos……… – The Tundra Tabloids……. I really wonder what the other fellow soldiers are thinking watching this guy offer up salutations to the being who wants to enslave both themselves and their loved ones and friends? I think that this is an anti-recruitment video for normal UK citizens. In the latest video the Muslim soldier is shown washing his face and using a prayer mat while his colleagues keep quiet. The caption ‘This is Belonging’ appears as the soldier gets up again and the squad moves on with its hillside patrol. Colonel Richard Kemp, who led British troops in Afghanistan, said the new campaign showed an Army ‘being forced down a route of political correctness’. He said: ‘What it clearly is doing is appealing, trying to appeal, to a series of minorities who may or may not be interested in joining the forces. Previous Post Previous Post Netherlands: Rotterdam Mayor Says Every Muslim is a Bit Salafist, Christians too……. Next Post Next Post France tries to blackmail Brits into taking more Muslim settlers as it seeks to rewrite Brexit deal…….